220cm x 130cm Replacement Swing Canopy with White Trim. 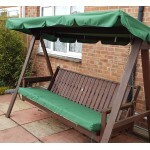 Use the drop-down box to see colours availab..
225cm x 115cm Replacement Swing Canopy with White Trim. 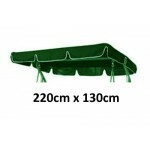 Use the drop-down box to see colours availab..
225cm x 125cm Replacement Swing Canopy with White Trim. Use the drop-down box to see colours availab..
215cm x 150cm Replacement Swing Canopy. 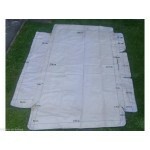 Use the drop-down box to see colours available.Please see th..
225cm x 135cm Replacement Swing Canopy with White Trim. 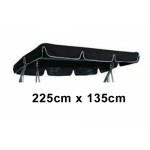 Use the drop-down box to see colours availab..
230cm x 150cm Replacement Swing Canopy. 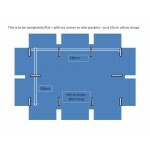 Use the drop-down box to see colours available.Please see th..
240cm x 110cm Replacement Swing Canopy. 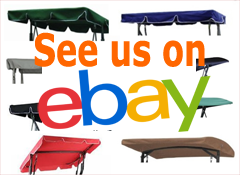 Use the drop-down box to see colours available.Please see th..
250cm x 138cm Replacement Swing Canopy. 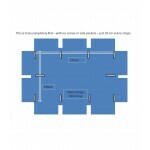 Use the drop-down box to see colours available.Please see th..